KidsTown is a children education center with a difference. Our neverending commitment to quality collaboration between parents and teachers distinguishes us effectively. 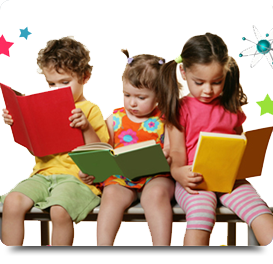 We carefully work to incorporate the values of the most scientific preschool training system. The Apple accredited facility has the latest infrastructural support into providing child centered education opportunities. The early childhood education center teaches children into growing as responsible human beings. Our ultimate purpose is to serve to the needs of parents in Winter Springs FL. Our preschool/Day Care offers the necessary safety while encouraging children to explore their inherent creative potential. We prioritize equally on developing the mental and physical skills of the child. The preschool opportunities via our child centered curriculum ensure your children get ample opportunities for playing. Children learn to interpret their surroundings through playing. We encourage every child to understand the sense of social belonging. The scientific early childhood education ensures proper adjustment through fun learning procedures. The child development curriculum instructs the little minds in finding positive solutions in conflicting contexts. We keenly focus on developing the values of self-discipline. KidsTown USA follows the progress pattern of each child. We follow the body language clues such as verbal expressions in understanding how well your child adjusts. The 4C day care program and other special courses look into the all-round development of each child to his/her full potential. We also arrange for children summer camp opportunities to help the tiny minds interact and find friends. Your little angel is safe under the careful vigil of our experienced instructors. This unwavering attention in delivering the earliest quality instructions makes us one of the leading child development centers in the area. .
KidsTown USA commits to provide a safe, loving ambience while optimizing childhood’s full potential. .